Join Olugbemi Matthew& Royal Commission (OMRC) LIVE in South Africa, Ministering and performing THIS NOVEMBER 2011. Experience His Praise, Presence and Power. 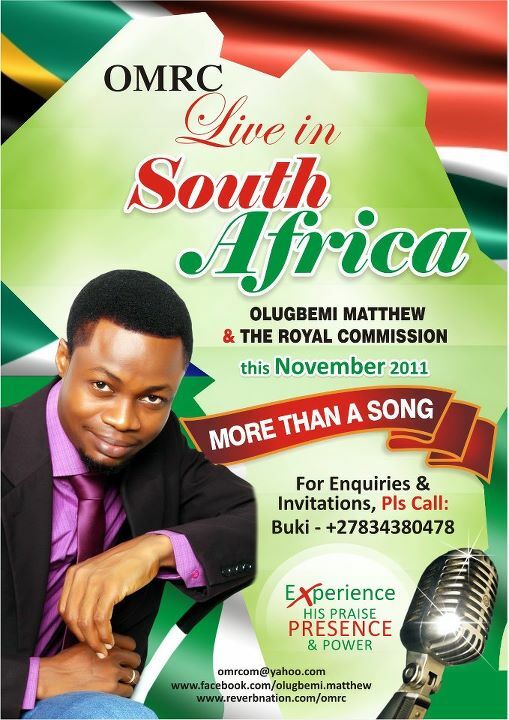 ENQUIRIES/INVITATIONS CALL: BUKI (RCCG Ambassadors Jo’bourg) +27834380478 All of God’s people in SA, Its your turn.